Naqeeb Mehsud’s Father Claims Disgraced Cop Rao Anwar Runs Multi-Billion Dollar Criminal Empire! Finally, JIT Holds Rao Anwar Responsible For Naqeebullah’s Death Calling It An ‘Act Of Terrorism’! 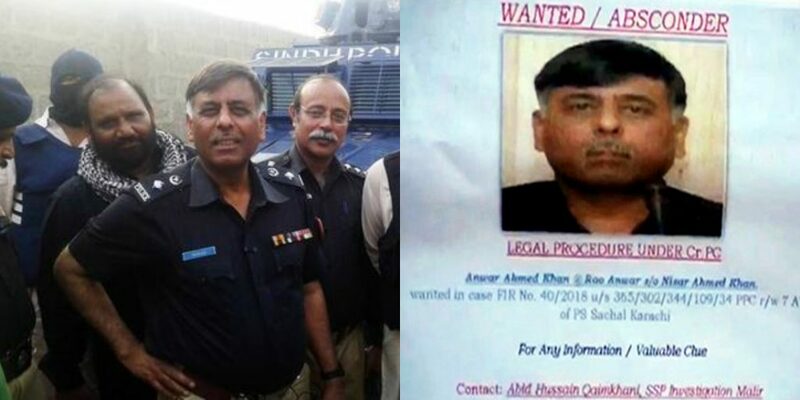 After 10 Weeks Of Huffing And Puffing, Disgraced Cop Rao Anwar Finally Arrested! Rao Anwar Still Missing, As Naqeebullah Meshud’s Best-Friend Gets Murdered In Dera Ismail Khan! Thousands Protest In Islamabad For Naqib Mehsud As Mainsteam Media Keeps Its Eyes Shut! Rao Anwar Asks Supreme Court For Justice And Blatantly Tells Police He Is Still In Pakistan! Man On Social Media Claims Disgraced Cop Rao Anwar Has Reached London!